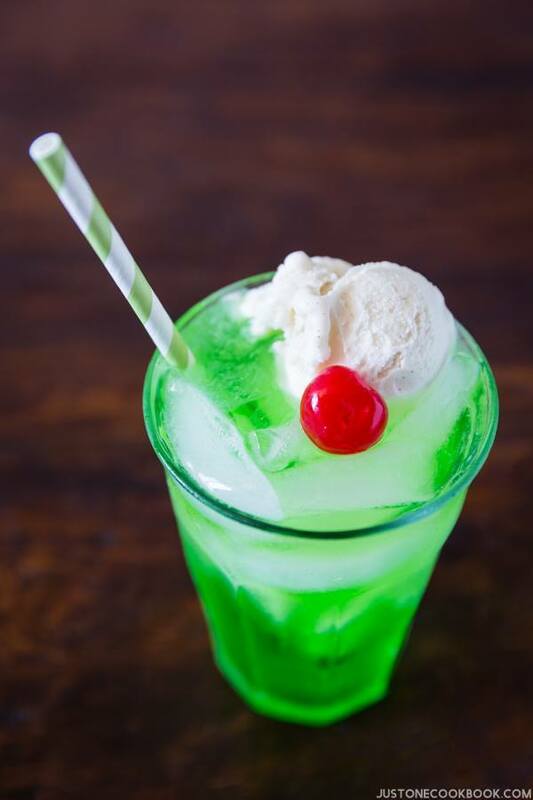 One of my favorite childhood drinks from Japan is Cream Soda, a delicious melon flavored soda drink with a scoop of vanilla ice cream. Do you have a drink that makes you feel nostalgic and reminds you of the carefree, innocent childhood days? For me, it’s Cream Soda (クリームソーダ). The cool, fresh sweet taste of the carbonated drink was the taste of happiness to a child’s mind. My mom wasn’t a big fan of keeping soda in our fridge, so I was excited when the restaurants started to offer Cream Soda as part of the kids meal set. That neon green colored soda was so luscious and tempting to my eyes. And when we were in Japan last summer, same thing happened to our kids: they got hooked on this magical green world of happiness. It’s possible that the cream soda you know is different from what I’ve shown in the picture above. Wikipedia shows all the international variations around the world and it was fun to see each country’s version. In the United States, cream soda is often vanilla-flavored with either clear or colored (commonly light golden brown, but red, pink, orange and blue are also relatively common). At cafes, the drink is made with soda water, vanilla syrup, and cream or half and half. 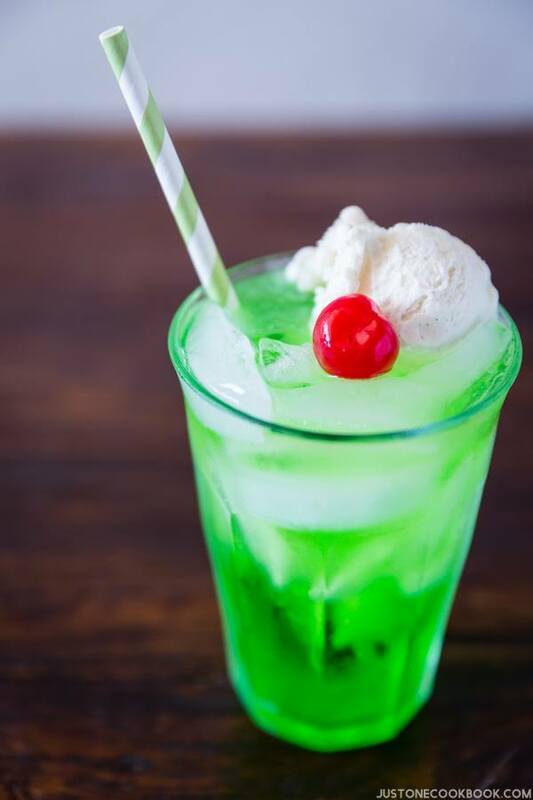 In Japan, “cream soda” is a term used for an ice cream float made with Melon Soda (メロンソーダ) topped with a scoop of vanilla ice cream (except for Okinawa, which follows American style). It might be a bit strange to you, but melon favored soda is quite popular in Japan. 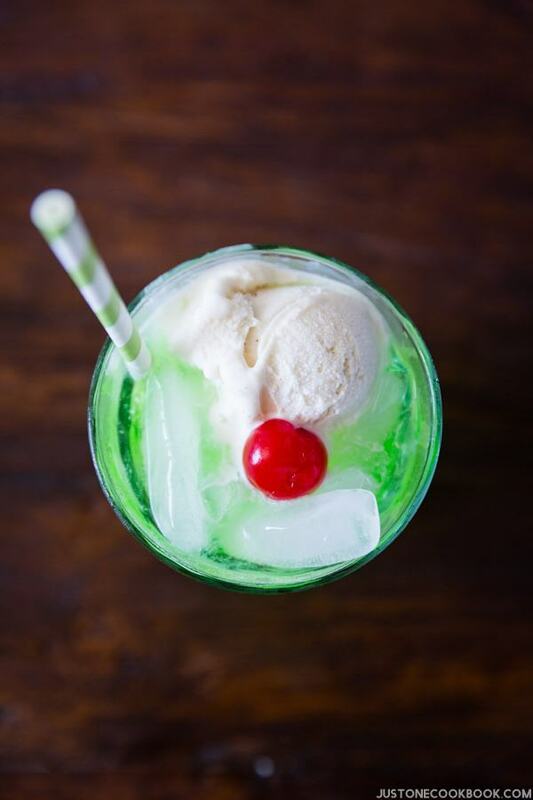 It is the base of Japanese cream soda, which consists of mixing melon-flavored syrup and club soda. To be honest, melon syrup doesn’t taste anything like melon, but it tastes quite good. It is not healthy to drink all the time, but it’s a nice special treat! 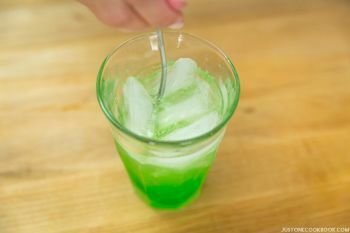 Besides melon soda, we also use melon syrup for shaved ice in Japan. 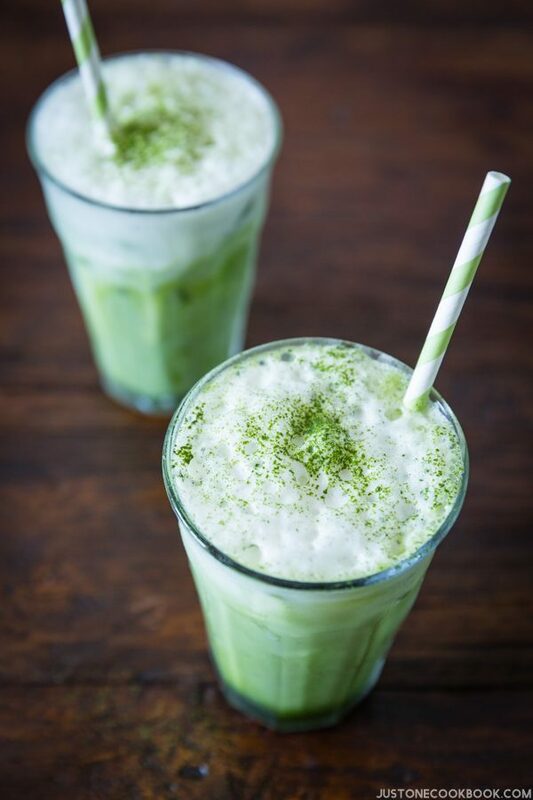 Some restaurants and cafes in Japan serve Melon Soda along with Cream Soda. You can also enjoy it from cans or bottles sold at vending machines and grocery stores. I found the melon syrup at a local Japanese supermarket, but you can purchase one on Amazon. I apologize in advance to those of you who don’t have an access to this melon syrup to create this delicious drink. Melon syrup is not made with natural ingredient so I can’t replicate this exact flavor. You can make a “healthier” melon syrup by mixing simple syrup and pureed melons (cantaloupe), but… I know, it’s just not quite the same. Put ice cubes into the glass and add 3 Tbsp. of melon syrup. Add ¾ cup (180 ml) club soda. Editor’s Note: The post was originally published on Sep 18, 2015. The post content has been updated in July 2017. 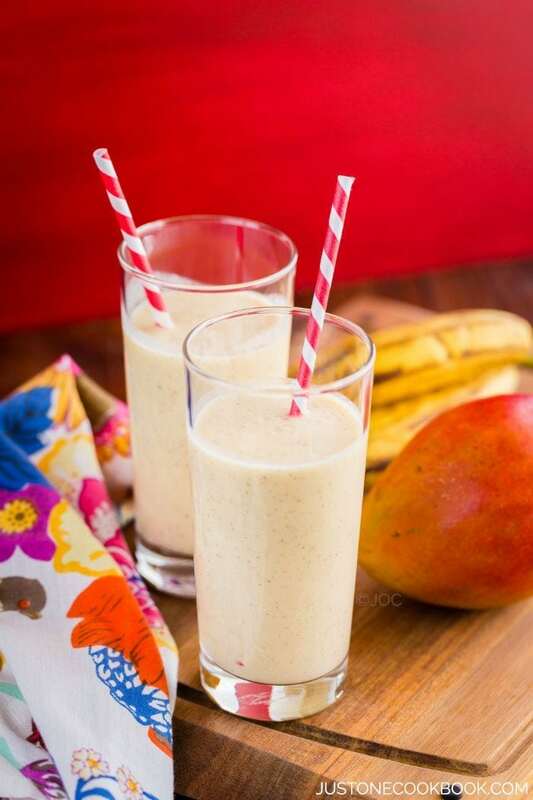 This looks delicious and so simple! Yeah it’s very easy to make! Thank you for your comment, Lucy! I can’t get melon syrup/soda locally but an ice cream float is a lovely and refreshing one. Even better at the beginning of summer instead of at the end. 🙂 I CAN get a clear cream soda brand from Jamaica that’s delicious or an apple green soda that resembles the green melon one above. Hi Christiellen! I usually don’t like soba, but I an’t resisit the melon soda or cream soda… 😀 I hope your daughter (and all of you) will enjoy this! Mitsuwa should carry it – I really hope it does (especially during the summer months for the shaved ice). Thank you for your comment! I enjoy organizing too, but not so fun dusting off every single items…. yikes. Seeing this immediately brought back fond memories of summer vacations in Japan as a child visiting relatives. I’m going to make this for my kids! Thank you so much for sharing. Hi MisaB! I hope my children will remember about their fun summer when they grow up, just like you do! 🙂 Thank you so much for reading my blog! Going to travel Japan in a few weeks. Gonna get me some melon soda! Hi Becs! Congratulations on your wedding! I just saw some pictures of your wedding, and wow so pretty! Thank you for sharing! I hope you have a wonderful trip to Japan! October/November is my favorite month in Japan! Hi Elizabeth! $61!!!! Some of the stuff sold on Amazon have ridiculous price, and this is one for sure! I know it costs to ship out of Japan…but $61… no thank you…. 🙂 Hope you can find this syrup in an Asian supermarket! I’ve seen this melon soda in the Asian markets and my kids always bought some. Next time, we’ll make cream sodas like you just shared here. Thanks for the recipe idea, Nami! Oh I love melon soda! I will have to try this. I hadn’t thought of making it myself with melon syrup. Natsukashii!! I wonder if it would taste the same as I remember from 40 years ago. =) It was one of my favourite drinks right up there with Yakult and cider. Hi Rumi! Haha! When you drink it, I think it’ll bring you back to 40 years ago. 😀 Thank goodness Yakult is much easier to purchase here in the US… it’s always my favorite too! Yes! This so reminds me of my childhood and time spent in Japan with my mum. That and Calpis/Calpico! Thank you Tuty for sharing this brand with me and my readers! This is one of my first memories of Japan – Melon Cream Soda. Specifically at Tokyo Tower. When my husband went with me for the first time, I made him go to Tokyo Tower and drink it. I love it and so thank you for having this recipe that I can make! You definitely had a fancy and memorable Melon Cream Soda experience at Tokyo Tower! 😉 Thanks for sharing your story with us! Wow, I am just thinking that this might serve as a wonderful Halloween drinks with a few eyeballs. My kids will go nut if I serve to them. Nice! Ohhh I love cream sodas! When I was a kid and even now! Wow! It sounds so unusual to me…. I have never had melon soda before (I must put it on my tasting list for Japan). It looks so cute, no wonder your children got hooked! Nice cook blog. How often do you make your post? Hi Kingsley! I usually post twice a week, but due to my kitchen remodel, it’s been a bit tough with my regular posting… however, it’s just finished, and almost done with moving back in. I’ll be posting my recipes more regularly soon! I have always wanted to know how to make this. 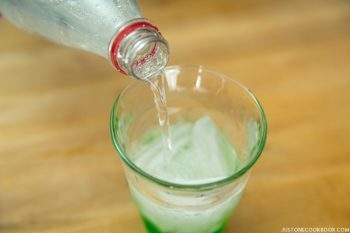 I went to Japan as a pre-teen and had melon soda every day (really!). I loved it so much. Thank you for the recipe; it was so simple to make. Both of my kids loved it. Marukai didn’t have the melon flavour, so I made it with Hawaiian Blue. Just as good! Will try it with melon next time. Oh I’d forgotten how much I used to like melon syrup. I never had cream soda but I used to use my Snoopy snow cone machine to make snow cones with melon syrup which was my favorite. When my mother wasn’t looking I’d squeeze some directly into my mouth. LOL (I was 8) I’m putting it on my Mitsuwa list and will try it as cream soda! Hi Salena! I think one of my friends had snoopy snow cone machine too! 😀 I think you’ll enjoy Cream Soda or even Melon Soda very much. You made me laugh about squeezing the syrup into your mouth. I can imagine my 7 year old daughter do the same thing!! 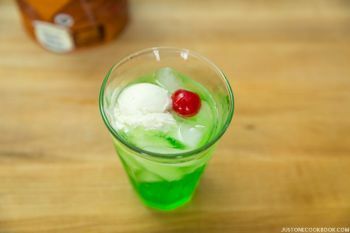 Could Midori be used to make an alcoholic version? Can you use another type of syrup?? 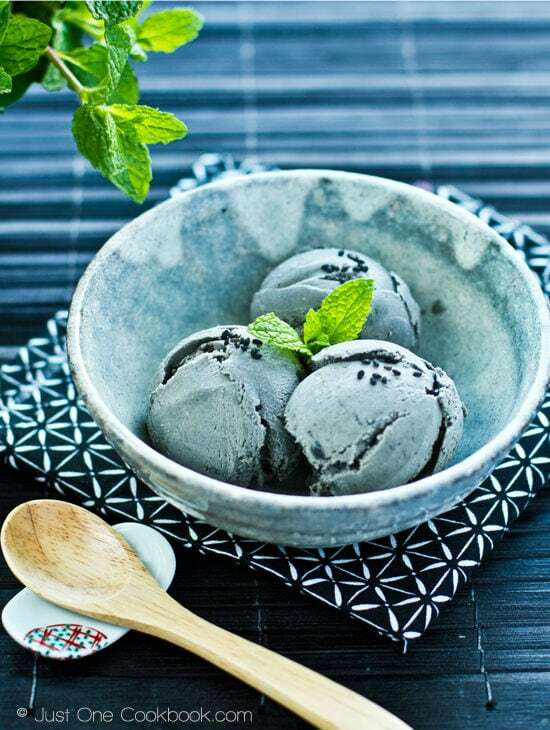 I have a friend who is allergic to melon..
Hi Nami, great and simple recipe! Thank you. Have you tried this syrup? : http://www.amazon.co.jp/dp/B005FUGZ40 Could it also be used for “Japanese Melon Soda” taste? The first time I went to Japan I visited the Asakusa Kannon Temple and outside there was a gentleman selling Ramune.He offered me a taste and I was instantanly transported to my childhood as it tasted the same as I remembered clear cream soda tasted. In Canada all I have been able to buy is commercial Ramune. Not quite the same however pretty close. You may want to do a video on the distinctive bottle. Where can you buy the syrup in the states? The color of this is amazing — truly electric. Bet the flavor is, too. Thanks! 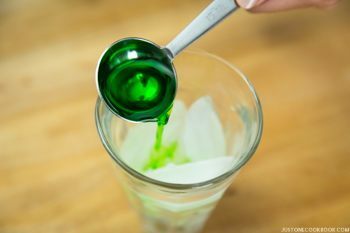 where can I purchase the melon syrup and what is it called? Hi Matt! I’ve listed the amazon link in the post (http://amzn.to/1NB61wj). 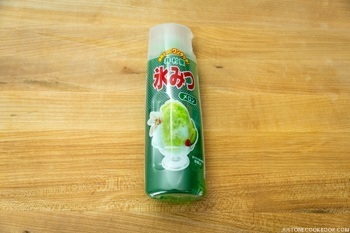 It’s crazy expensive online… If you live near Japanese grocery store, you should be able to find these melon syrup bottles or pouches as it’s necessity for Japanese shaved ice. Hope you can find it. We call it “Melon Syrup”. Hi Beejay! I got mine shown in the recipe at the Japanese grocery store called Nijiya Market. It’s for shaved ice, but it’s basically the same melon flavor… If you don’t live close to Japanese (or Korean) grocery store, maybe try Amazon one? I listed in the blog post. 🙂 Hope you enjoy the recipe! 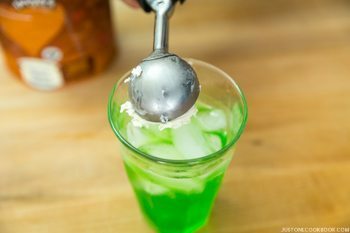 Went through all the trouble to find some Japanese melon sirop and after making this it turned out that it looks and tastes exactly like “Fernandes green punch” (without the icecream) which you can buy everywhere here. Hahahahhaha that was a major dissapointment. I had never tried it before. So you’re saying there is a melon soda drink in Netherland? How cool! 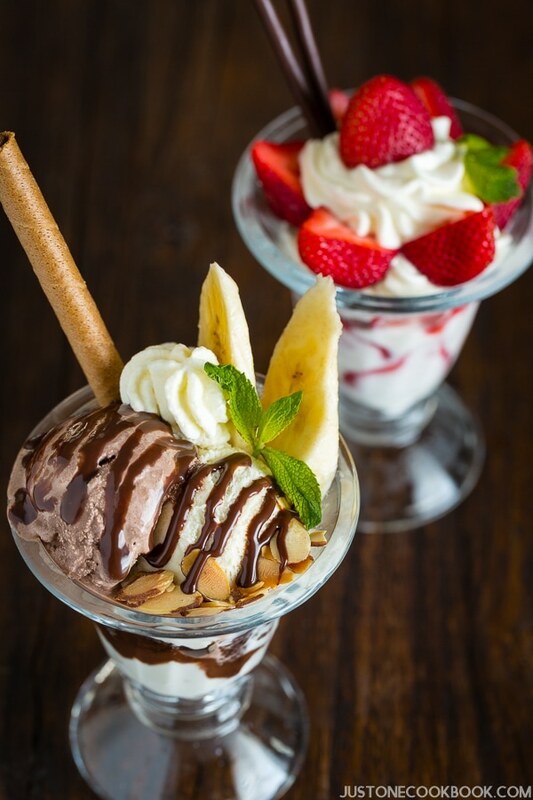 Yeah, you can skip all the trouble and put ice cream on top to get “Japanese cream soda”…. I’m sorry you had to go all the way to figure it out. Hahaha yes I am from The Netherlands. That is the correct link. I had seen your recipe before and thought it looked gorgeous and figured if I ever run into melon sirop I will get it. So I did today and after I had made it, my son tasted it and said “This is just Fernandes, are you kidding me did you buy cans of Fernades” I do wonder though, the melon sirop you used, They had that at the Japanese shop my mom used to work in but that shop closed. The one I got was a different brand. I wonder if that tastes different than the one you have. Mine is called kakigori sirop from Saito Inryo. Melon syrup has that specific taste that I’m pretty sure all brands aim to create it. So I doubt it tastes significantly different… then we all know “this is not Melon syrup”. We use the syrup for kakigori, melon soda, cream soda… what else… that’s about it. Same syrup. 🙂 Living abroad, brands of melon syrup are limited…. Aha thank you. Good to know that most sirop will probably taste the same. Yes I know the feeling. Before we had several real Japanese shops here, some of them have been around for 30+ years but most of them closed. After the tsunami importing goods was very difficult. They would keep it at customs for too long so by the time it arrived at the shops they were out of date. Now we have maybe 3 shops with one being part Korean/Japanese and the other 2 being very limited. Just basic ingredients and a lot of ramen. Still trying to find hiyashi chuuka. 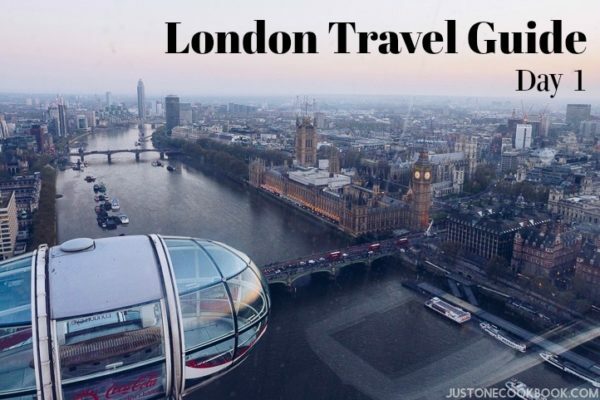 We are going to London this fall so I am going to visit Japanesecentreshop and hope to find some goods there. Hi Michiko! I wish that Japanese food and Japanese ingredients will be a lot easier to find everywhere in the world (at least bigger cities). 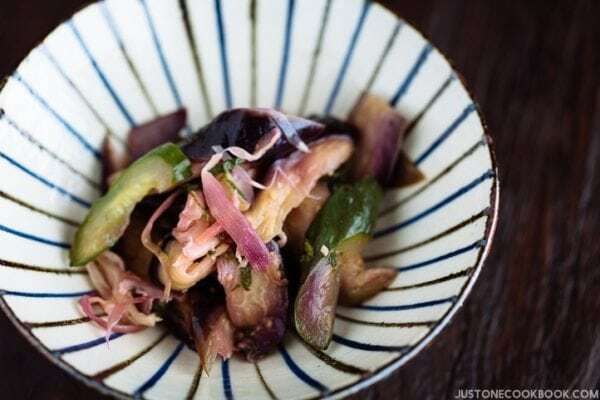 I feel like when people know more about the food and Japanese recipes, there will be demand for ingredients. It’s too bad that you have limited sources there. I remember my Japanese expat friends were talking about Japanese community in Netherlands. Maybe a bit too far from where you are? I assume there will be some kind of well-stocked Japanese grocery store when there are lots of expats living nearby. When I went to London last year, I visited Japan Center and it was nice! Guess what it turns out that mixing vanilla icecream and Fernandes tastes more like melon soda. Before it was only availabe at little foreign shops, you know the ones that are run by Pakistani and Surinam people. Maybe you can find it at a shop like that. I would be more then happy to send you some. Yes, the Japanese community is located in Amstelveen, but the Japanese people who are here now are so different than the ones That were here 20+ years ago. My mom would never befriend the people that are here now. Different attitudes and stuff. The biggest problem is that a lot of real Japanese shops closed after the nuclear disaster. Goods that were shipped Japan would be thoroughly cheked even though the Japanese did that already. Then buy the time it would arrive at the shops most of the goods were expired or rotten. So in the end the shops only imported packed ramen and stuff like that. No shop can survive just buy selling ramen. I can’t wait to visit the Japanesecenter. Very much looking forward to it. Hi Michiko! 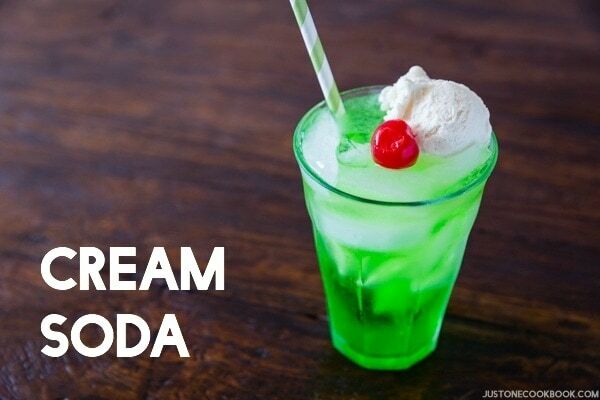 Wow, so easy to enjoy Melon Soda / Cream Soda for you! Thank you so much for offering to send to me. That’s so sweet of you!!! 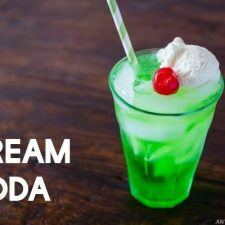 Melon Soda or Cream Soda is my guilty pleasure with my kids in summer. It’s so hot and humid there, the kids really enjoy this drink while there. I’ll keep it special that way. 🙂 Thank you! I’m sorry to hear the community is different now. Young generation in Japan are different from old generation so I think it’s not happening only in Amsterdam. My mom who always live in Japan say younger people are different from their generation. LOL. Hopefully Japanese food will be enjoyed at home… Japanese food when I came to the US were more exotic food than now. Now there are so many Japanese restaurants and ramen shops here, more people are cooking at home and ingredients are easier to get. Hopefully it will be like globally. 🙂 More work for JOC!!! Thank you so much for sharing this recipe! Melon soda is one of my favorite memories of Japan and takes me back to my childhood! My mother suffers from Alzheimer’s and I regret never having learned how to make my favorite foods like onigiri or curry rice, gyoza…the list goes on! I am so happy to find your site and all of these recipes. Thank you!